We hope the following FAQ gives you a better understanding of this powerful little device. A cochlear implant is very different from a hearing aid. Hearing aids amplify sounds so they may be detected by damaged ears. Cochlear implants bypass damaged portions of the ear and directly stimulate the auditory nerve. Signals generated by the implant are sent by way of the auditory nerve to the brain, which recognizes the signals as sound. Hearing through a cochlear implant is different from normal hearing and takes time to learn or relearn. However, it can aid in the recognition of warning signals and other sounds in the environment. Phone conversation is also enhanced. Children and adults who are deaf or severely hard-of-hearing can be fitted for cochlear implants. According to the Food and Drug Administration (FDA), at the end of 2006, more than 112,000 people worldwide had received implants. In the United States, roughly 23,000 adults and 15,500 children have received them. Adults who have lost all or most of their hearing later in life often can benefit from cochlear implants by learning to associate the signal provided by an implant with sounds they remember. 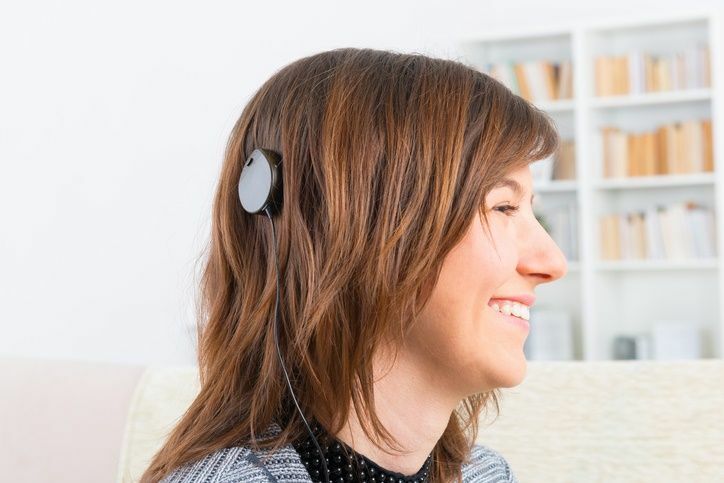 This often provides recipients with the ability to understand speech solely by listening through the implant, without requiring any visual cues such as those provided by lip-reading or sign language. Cochlear implants, coupled with intensive post implantation therapy, can help young children to acquire speech, language, and social skills. Most children who receive implants are between two and six years old. Early implantation provides exposure to sounds that can be helpful during the critical period when children learn speech and language skills. In 2000, the FDA lowered the age of eligibility to 12 months for one type of cochlear implant. How does someone receive a cochlear implant? A cochlear implant requires both a surgical procedure and significant therapy to learn or relearn the sense of hearing. As with all surgeries, risks should be weighed and costs considered. Not all health insurance covers the expense of a cochlear implant. The results of a cochlear implant vary. Not everyone performs at the same level with this device and speech-language pathologists and Audiologists are frequently involved in this learning process. Prior to implantation, all of these factors need to be considered. What does the future hold for cochlear implants? With advancements in technology and continued follow-up studies with people who already have received implants, researchers are evaluating how cochlear implants might be used for other types of hearing loss. NIDCD is supporting research to improve upon the benefits provided by cochlear implants. It may be possible to use a shortened electrode array, inserted into a portion of the cochlea, for individuals whose hearing loss is limited to the higher frequencies. Other studies are exploring ways to make a cochlear implant convey the sounds of speech more clearly. Researchers also are looking at the potential benefits of pairing a cochlear implant in one ear with either another cochlear implant or a hearing aid in the other ear. If you are a candidate for a cochlear implant, it is important to remember that the device does not restore normal hearing. It can, however, provide a useful representation of sounds to aid you in understanding speech. Call us today at 719-836-5732 or send in this form now.